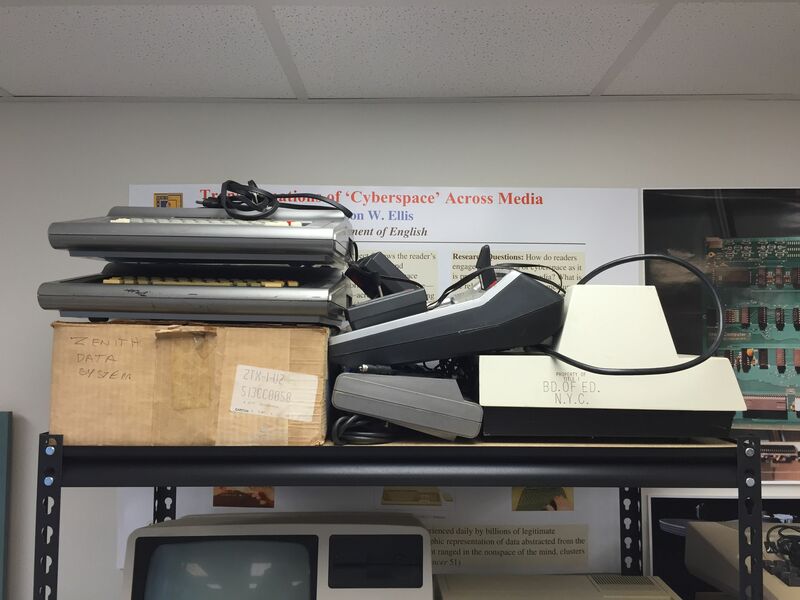 Thanks to City Tech’s Stanley Kaplan, I now have a substantial new collection of early personal computers including IBM PCs, Radio Shack TRS-80s, a Commodore PET, Texas Instruments TI-99s, ATARI 800, and a number of other computers and peripherals in my office in Namm 520. Some of the smaller items are locked in my filing cabinet, but as you can see from the photos included in this post, I have the larger items arranged around my desk and on a new set of Edsal steel shelves that I purchased on Amazon.com. Now, I have to make some additional room for a large, removable magnetic disk from a TRIAD Computer System (c. late-1970s~early-1980s, the drive that reads this disk was about the size of a washing machine) and an Apple Macintosh Centris 650, which I shipped to myself from Brunswick when I recently visited my parents. 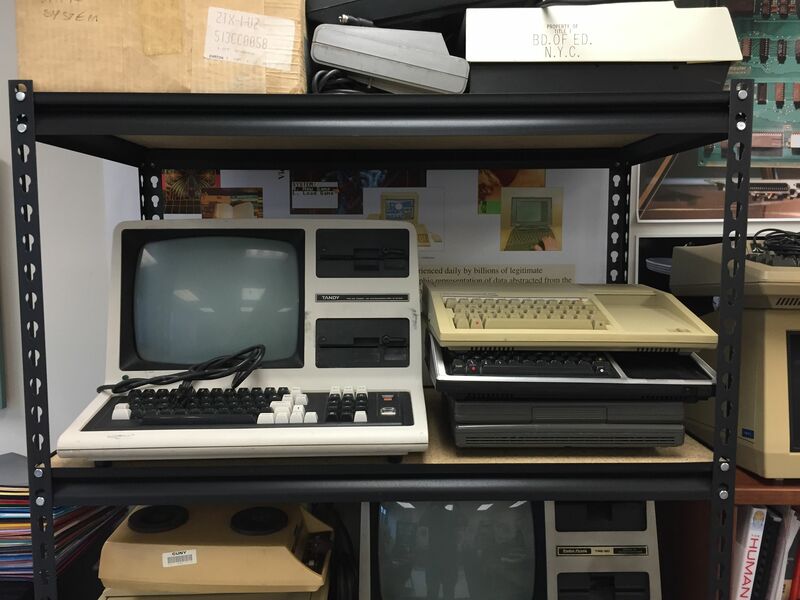 In the coming months, I will catalog these machines, see what works, and plan how to use them (research, pedagogy, and exhibits). 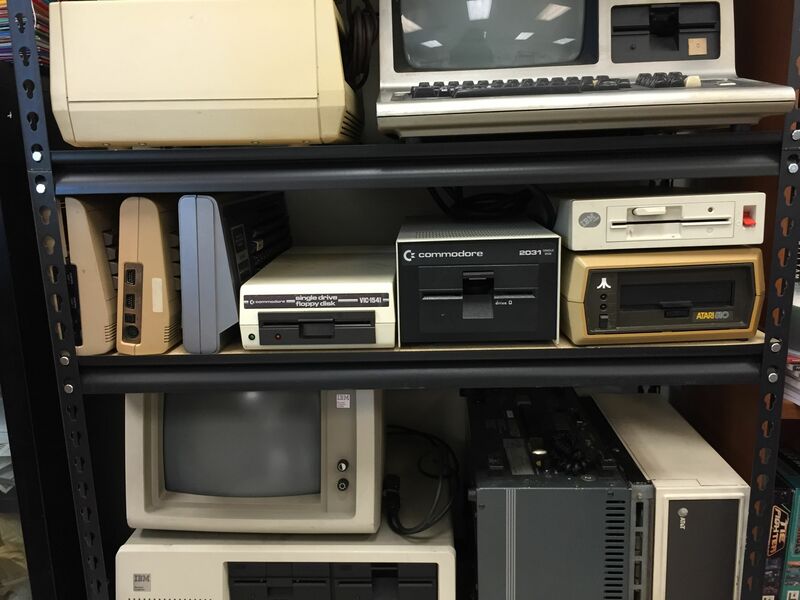 If you have older computers, disks, or user manuals and would like to donate them for use in my research and teaching, please drop me a line at dynamicsubspace at gmail dot com. Radio Shack Color Computer 3s, Zenith Data System, Odyssey, TRS-80, and PET Printer. 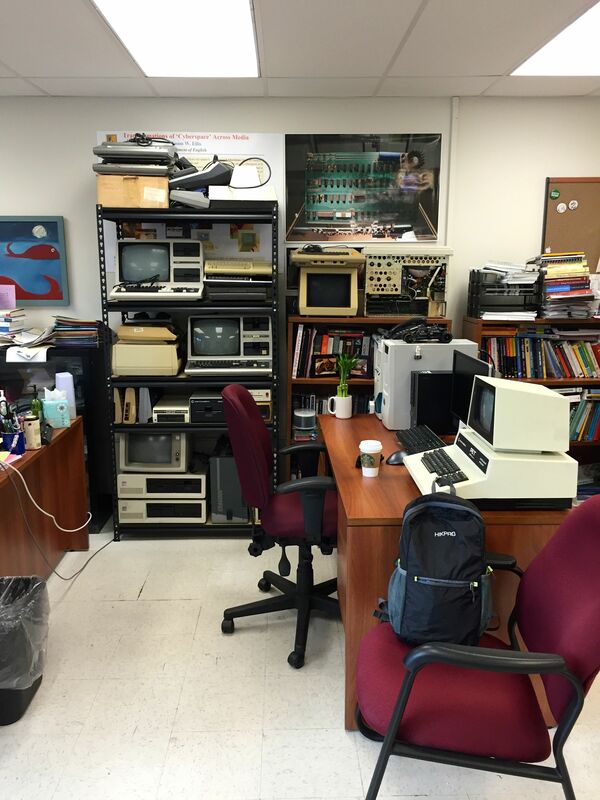 TRS-80, Texas Instruments TI-99s, and Toshiba Laptop. 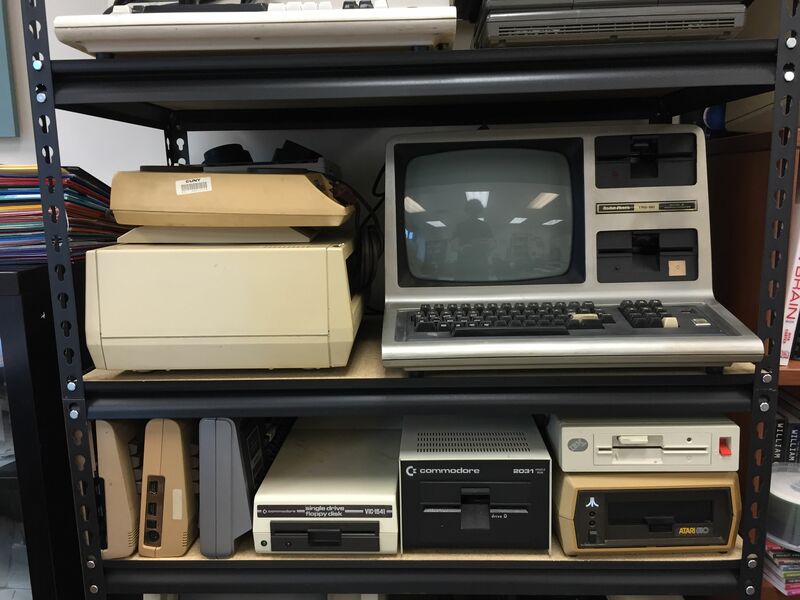 Commodore 64s, TRS-80, and Various Floppy Disk Drives. 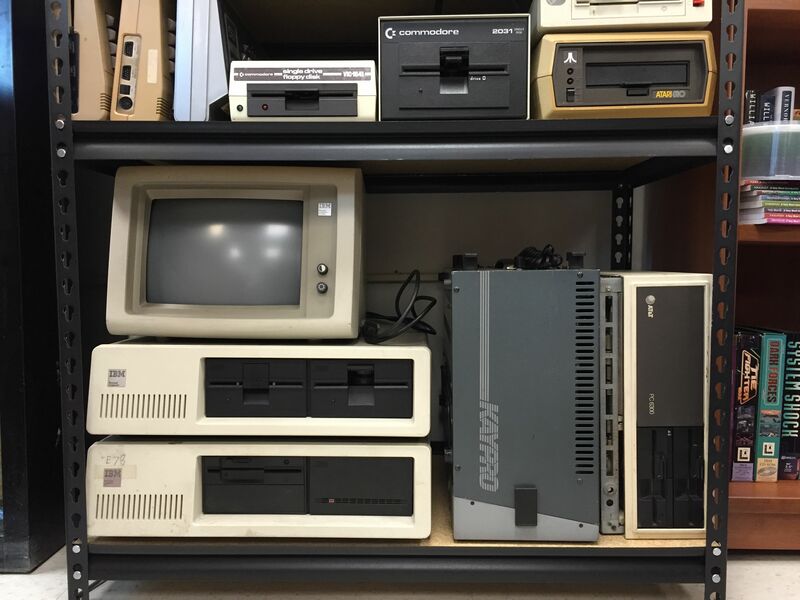 IBM PC, IBM PCxt, Kaypro, and AT&T Desktop. 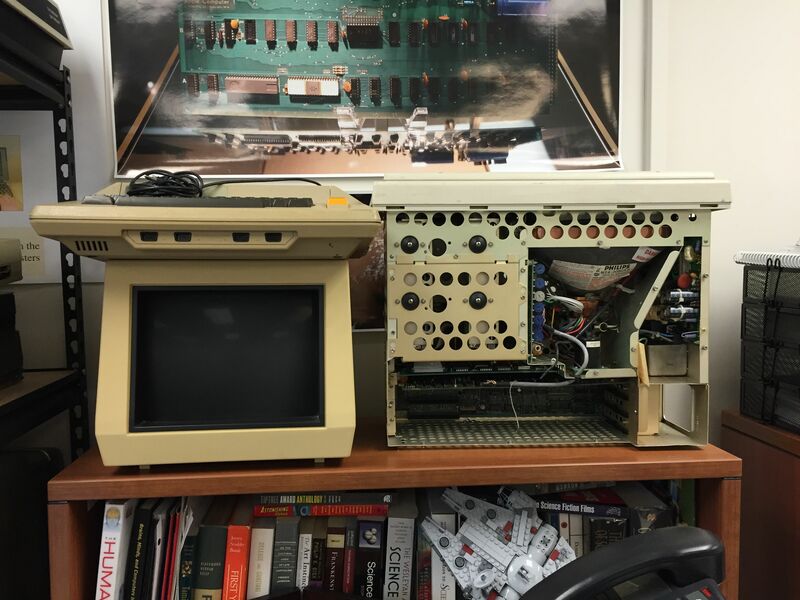 ATARI 800 and Compaq Portable PC sans case. 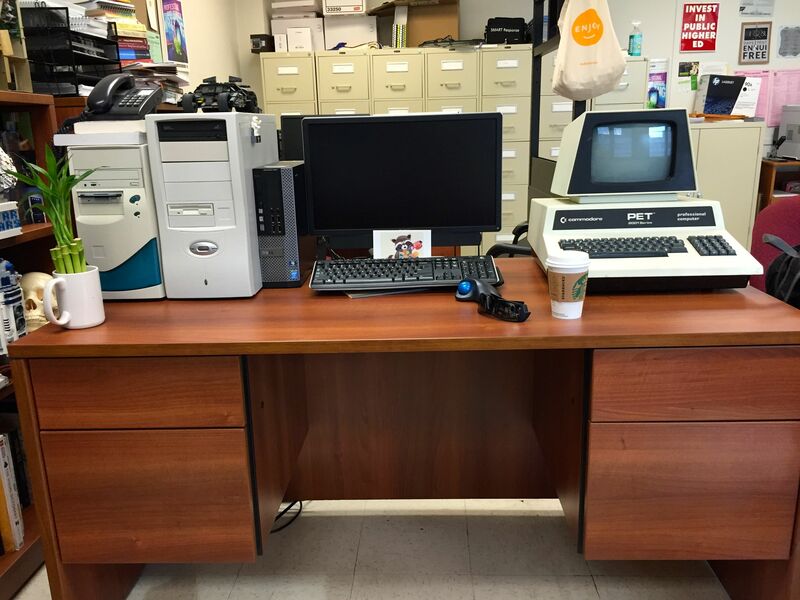 Pentium 233 MHz PC, i7 PC, i7 Dell (office standard issue), and Commodore PET.